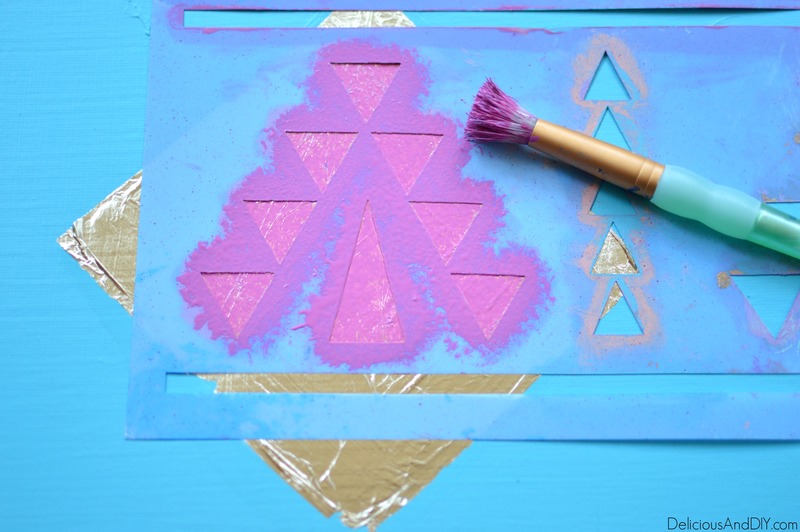 I love playing around with pattern and color so today I want to show you guys how I made these beautiful Tribal Wall Arts. 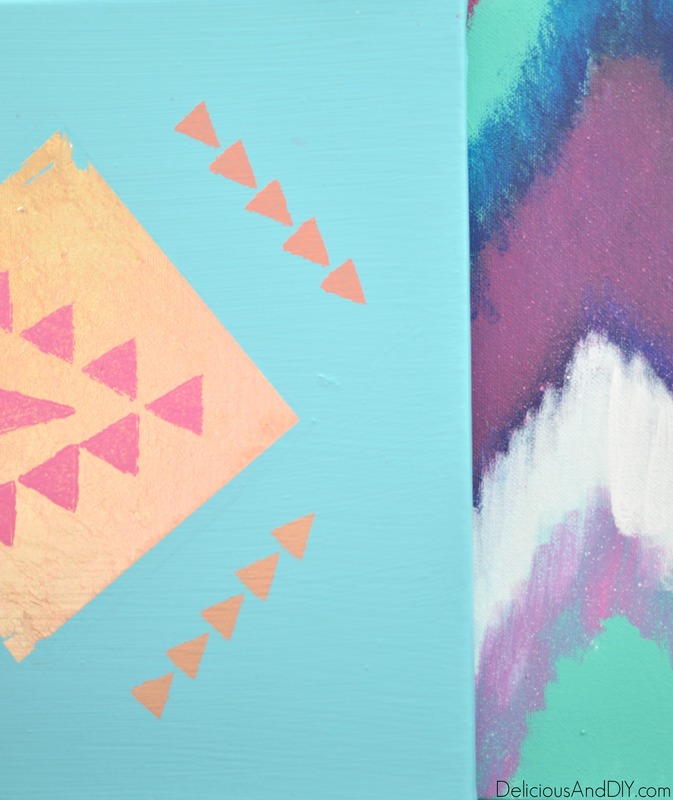 I’ve been meaning to paint these mini canvasses for a while now. One of the walls in my bedroom had no artwork on it and this was the perfect opportunity to hang something up on it. 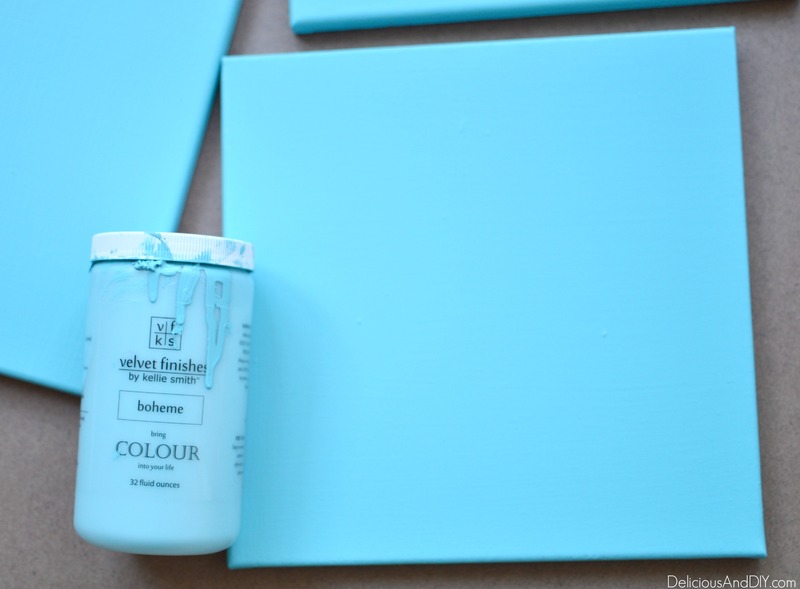 First things first I gave the canvasses two coats of the blue paint and let it dry completely. 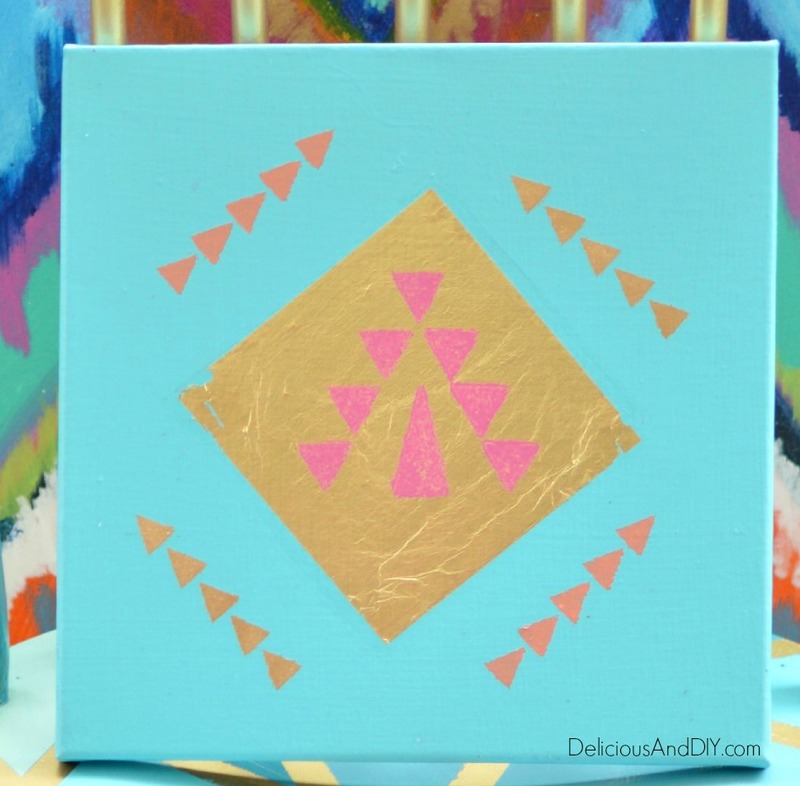 I definitely wanted to use Gold Leafing so as soon as the canvasses were dry I lightly painted a diamond pattern using Mod Podge which is where the Gold Leaf was going to be placed. 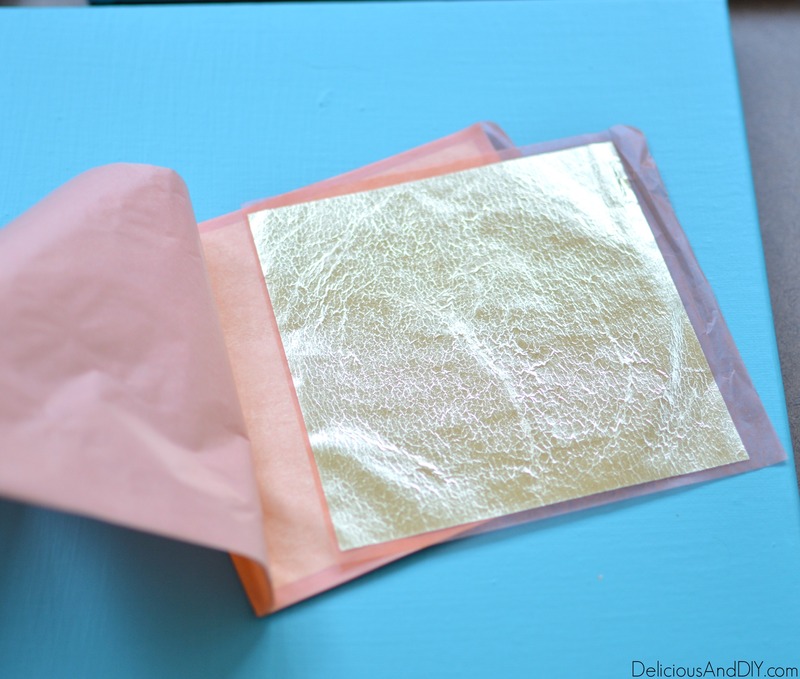 I carefully placed the Gold Leaf onto the Mod Podge area and flattened it out with a dry paint brush. Try to be very gentle with Gold Leaf as it can tear easily. 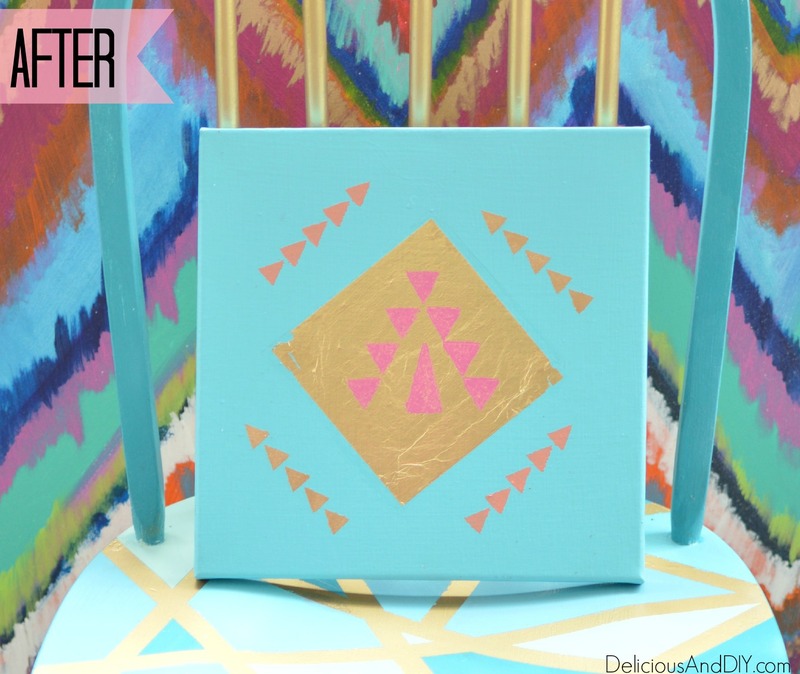 For the design part I used DecoArt’s Aztec Stencil which I absolutely love since I’ve used it on my Aztec Table and Painted Chair Makeover projects. Using Velvet Finishes color Glamorous I painted on top of the Gold Leaf the main pattern. 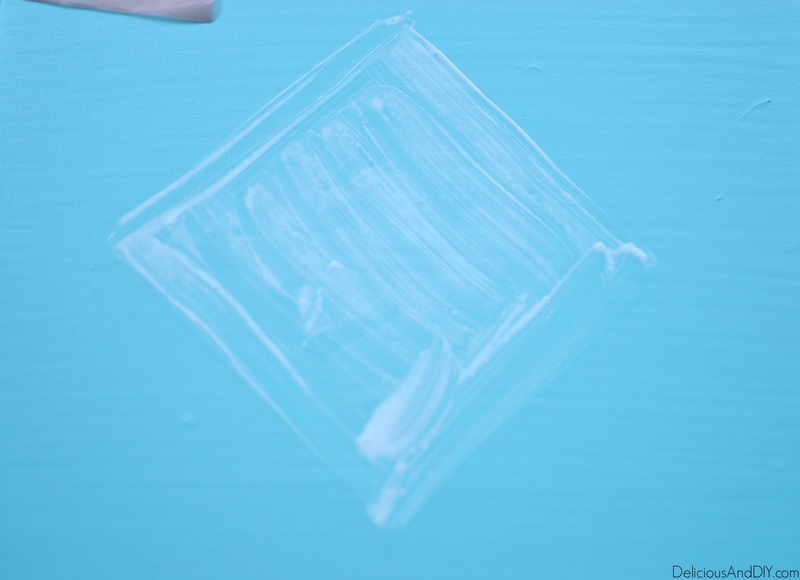 I used my stencil brush and with a light dabbing motion I painted on to it. 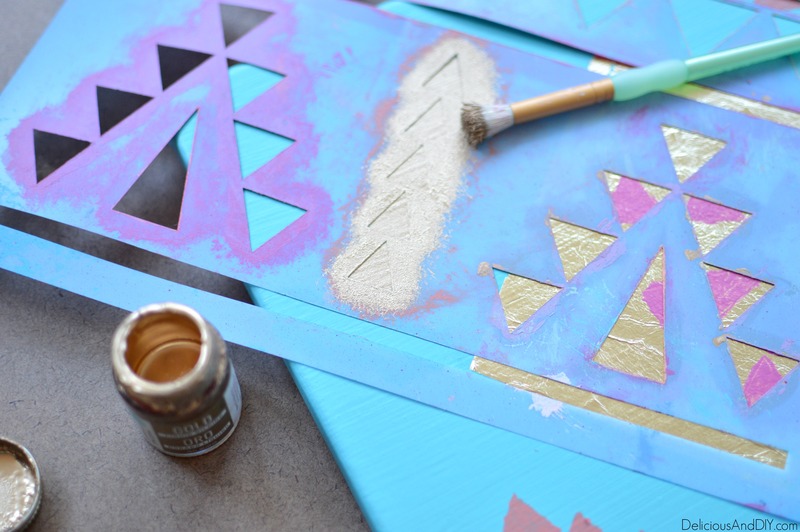 I painted all three of the canvasses and then lastly for the sides of the diamond Gold Leaf I used Liquid Gold Gilding and painted in the triangles. These beauties were complete and ready to be hanged up on my wall. 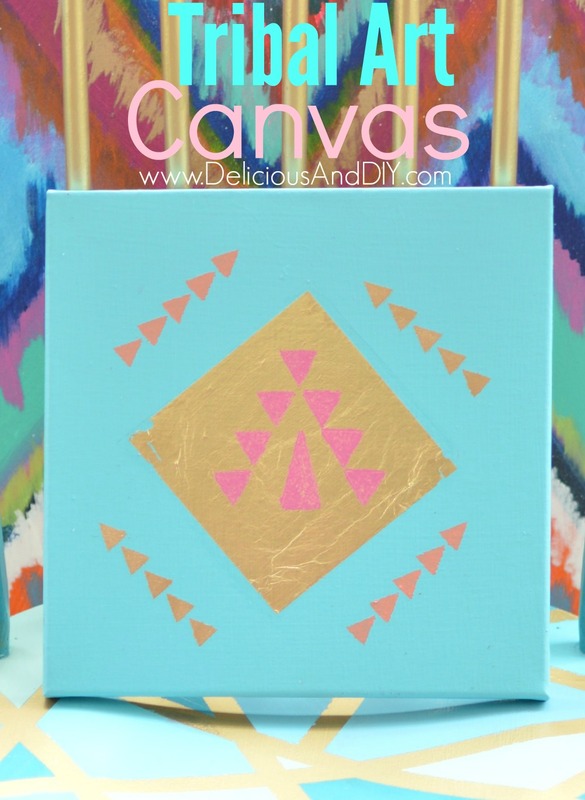 What do you guys think of these Tribal Art Canvasses ? 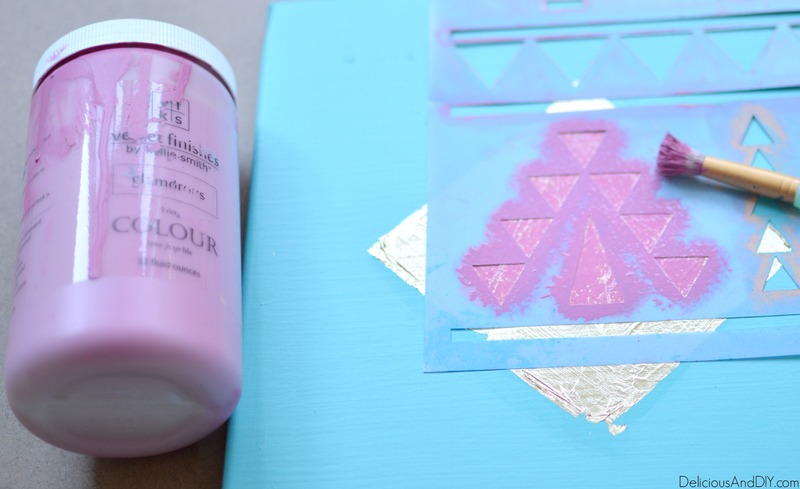 If you guys liked this project then be sure to check out these DIY creations. Disclaimer : This is a sponsored post but all projects, idea and thoughts are 100% my own.